Think your coffee was expensive? 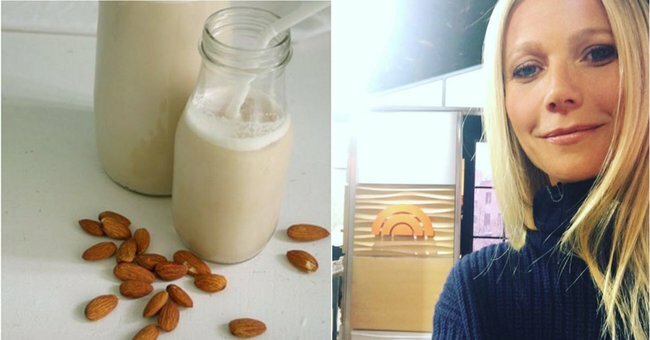 Gwyneth Paltrow's morning smoothie costs $260. Her Royal Goopiness never disappoints when it comes to making completely out-of-touch recommendations to her devoted acolytes. Gwyneth Paltrow’s latest is a morning smoothie, the ingredients of which cost an astounding amount of money. It all starts out normal, like a person before they get to Hollywood. Almond milk, coconut oil, almond butter — sure, a bit fancy, but relatively common. Things start getting weirder and more expensive after that: vanilla mushroom protein powder at $35 a jar; maca, a plant that grows in central Peru at $40 a bag; ashwagandha, an ayurvedic herb that works as an “adaptogen” (?) for $20; he shou wu, a herb in Chinese medicine that is said to contain immense amounts of chi for $62.95; cordyceps which as far as I can tell is a mushroom hailed as a new “superfood” for $28; and last — but not the least — one teaspoon of the moon dust of your choice. 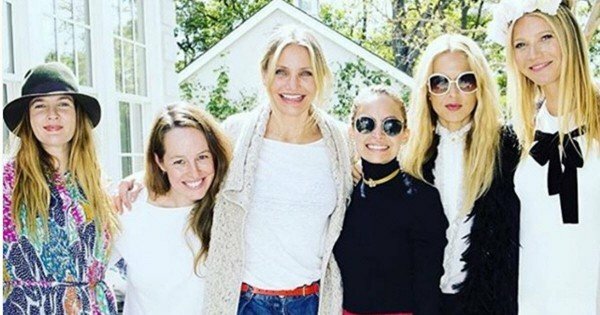 Gwyneth (far right) with her gal pals (from left): Drew Barrymore, someone I don’t know, Cameron Diaz, Nicole Richie, and Rachel Zoe. Image via Instagram. I don’t know what exactly Moon Dust is, but it comes in a bunch of varieties and you can buy it on Goop.com for $73.20. Why not buy them all? So far, this smoothie costs AUD 259.15, and I haven’t even factored in the almond milk, almond butter, coconut oil, vanilla powder, or Himalayan sea salt. According to the Goopsters, GP is a big fan of this morning smoothie. Here’s some more of Gwyneth’s recommendations we can’t afford… Post continues after video. Paltrow’s recently launched her own Goop branded make-up line that’s predictably all natural and unavoidably all expensive. “We took some investment last year, so as soon as we had other people’s money, I realized I really better focus on this completely,” she explained to Matt Lauer during an appearance on the Today show on Friday.